Awesome post lisa i am a new blogger and i have learned a lot 🙂 thanks for the awesome post! Yes ! Agree With you. WordPress is the best and easiest Platform of Design a Website according to our imaginations. I’m also recommend WP because it is simple and we can easily promote our blog through online Tools. Hey Lisa, I’m curious to find out what blog system you happen to be working with? I’m having some small security problems with my latest blog and I would like to find something more secure. Do you have any suggestions? Hi Savannah, I’m using WordPress. 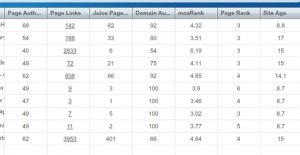 I like to know what are the tools you are using to generate traffic. This is a great resource. Lisa it is really wonderful too and people don’t realize that promotion starts at the foundation. If you want to start with a strong foundation, refer back to this guide! I was introduced to your blog from YouTube. And i’ve found it very fascinating. Thank you for your efforts. Thank you! Glad to “meet” ya! Awesome list of tools. A lot of thanks for showing us. Do you don’t think SEO plugins are useful anymore ?? A lot of thanks for showing us the tools u use in your wp site. Thanks for publishing the great list. Many of the above programs I already use, but the Instant wordpress link was a real gem to find. I make quite a few custom wordpress themes and to date I normally work via FTP, which means uploading and checking after every change. I am definitely going to download this program and am sure it will save me hours! Hey Nick, I LOVE LOVE that tool. It has saved me so much stress by being able to test things locally. Hope you enjoy it! I am newb when it comes to WordPress. Can I use the WordPress framework and templates with my own domain and host without the WordPress VIP package? Awesome list of tools. I need to add few of them in my list. I started blogging about 3 months ago and recently made the switch to wordpress. I’m so glad I found your site early on. It’s extremely helpful! I was wondering what you thought about the jetpack plugin? Hi Tish, glad you found me too! 🙂 I honestly have never used the plugin so I can’t really comment on it much. What screen capture software do you use to create your tutorials? The videos are sharp and the mouse/cursor action is very smooth with none of the annoying stop-start jerky motion I’ve seen in most of the screen capture utilities I’ve tried. Its strange that I don’t see any plugins like Yoast,SEOPressor etc. They are worth the money and I think you try them on the site. Lisa, have you completely stopped using all of them ? I don’t feel the need for SEO plugins anymore. I will be blogging about this soon. I used to use Yoast, but since disabling them I have seen no difference. thanks for the blog. You are the second person in a week recommend browsershots.org so that must be a sign! I better take a look. I’m interested in your recommendations for the various plug-ins for WordPress. I’ve found Yoast WP SEO easy to use. I notice you don’t think SEO plugins are useful anymore. Can you elaborate on why not? I will be blogging about this next week. I think they *can* be for certain things like ensuring you’re using the right markup, reporting, etc. But they aren’t going to help you rank better alone. SEO is so dependent on off-page factors now like social media shares, backlinks, etc. I think too many people assume a plugin is going to catapult their rankings. I disabled all SEO plugins. I don’t think they are that beneficial anymore. Thanks for the insight. I just downloaded Instant WP. You will need to use the WP Duplicator plug-in to migrate your offline installation of WordPress (delivered through the Instant WordPress software) to your web server. Getting your database and tables online can be somewhat a headache so I recommend you buy the eBook written by the Instant WordPress author. The book is called “Instant WordPress Unleashed”. Thanks for the List but my main worry is ultimately site security resulting from the ease word press sites are hacked. sorry for being skeptical but i once had site hosted by hostgator build using word press, new as i am before evening learning and preparing to submitt my first site map Big mum google had already spotted my site as a potential site attack. i sought refuge with SBI which had to do the sitemapping stuff for me automatically then came the issue of infinit which you talked about in one of your articles but up to now i dont even understand its meaning save for the fact that INFIN IT must be hosted outside of sbi. This is my personal: can guide me tru.the infinit process provided i host infinit with you? Once you have a host outside of WordPress, you will follow the host’s instructions for installing WordPress on that domain. Once the site is up, go back to your SBI! account and setup Infinit to connect to your new WP site so it will look as if it’s hosted on your domain. I have never used Infinit personally so I cannot give much more advice than that. Have you not asked SBI! for help? The tools which you mentioned here are very good. I guess these will make by life easier my a huge sum. Thanks for mentioning. Hi Lisa i am new to the business and new to ur site> I been doing this for less than 2 month and am just learning WordPress. I find that I cant get thing to line up corectly on the I was womdering if the plugin simple works with other themes . I find your website to be very informative and I going to make a point in reviewing all your youtube videos. You taught me something new – InstantWP and am hitting the site right away while taking a look at your other tools! Cool. Wow, Instant WP sounds great! I’ve been using Xampp for testing and development but Instant WP looks much more straight forward. Gonna give it a whirl right now, thanks for the tip! I am just trying to get started in creating a website. I don’t know what I am doing, so I am going to need all the mentoring that I can get. What is the first thing that I need to do? Have you watched my WordPress video? http://www.2createawebsite.com/traffic/create-free-blog.html First you need a domain name (yoursite.com) and hosting. It’s all on the page above. I like comluv but it is not good idea use that on big blogs where where people comment for just spamming . Intense Debate is other option though. Great stuff. i really love it… m new in blogging field… hope it will help for me..
thanks so much for both responses!! Hi Lisa , Great tool box. there are some things on your list I will explore ( commentluv)Question please Awber and Icontact are kind of the same have you tried both? If so which one do you like better. Awber is $19.00 per month were Icontact is $10.00. Thanks. I’ve only used AWeber and have been since 2004. Can’t imagine using anything else. MailChimp is free for the first two thousand subscribers. I intend to use this for local internet marketing. I am unlikely to get close to two thousand email addresses for a local niche I am exploiting, so the free version will suffice. That Browser shots tool is going to be handy, given Internet Explorer’s compatibility issues. My site always looked fine in most browsers except IE. Also, is there a CommentLuv free version? I played around with different systems before settling with DISQUS but I see the value of CommentLuv and the incentive to get people engaging. Yes, there is a free version of CommentLuv. I have tried the CommentLuv free plugin via Intense Debate but found it slightly hit and miss. I don’t think all the bugs have beeen ironed out. I’m not getting a very smooth integration with my Blogger template. A great list, website tools are essential for maintaining a website. I really like to stick to the basics with Bing and Google webmaster tools. 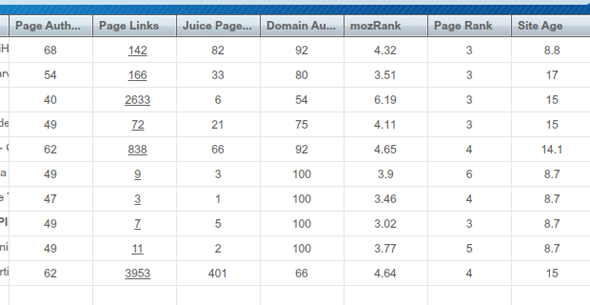 These tools allow me to see very important metrics for keywords and my position in search. When it comes to commenting and back linking I prefer the manual method and attracta. Appearing to Google as a “good website” seems to be the most important thing these days. For social apps I like share this and the social options from the jet pack plugin for word press. I really like free stuff and as far as mail clients go I use mail chimp it seems to do a pretty good job. As far as web design goes I like to find a good pre made them and tweak it to fit my needs, I do this in Weebly and WordPress. The Genesis simple hooks looks intriguing to help tweak a word press site with out too much work. Thanks for the post looking forward to more. I am a little surprised that there was not more on this list! I guess that is the problem with WordPress, there are so many good plugins, the temptation to load too many is too great, ending up in a slow site, with page loads that seem to take forever! Artisteer sounds interesting, being able to easily make your own WP theme. This would have been easier to make a client theme from scratch, than wade through the repository looking for one they liked, and one that had the right balance of style V”s widget,tool allocation. On that front, I now use the Headway Drag and Drop Theme, so I can make a theme look however I want, with however many widget areas, sidebar position, width etc, as I want. You can even have completely different layouts for the posts page, to other pages. It would be easy to create a new template with no navigation, Headers, or different header, no footer, no sidebar…. Basically what you want to have for a sales page, capture page etc. I would be interested in your opinion on thsi theme, if you know it. Thanks for the list, I found your site through Anne of My Blog Guest, and the two posts regarding Guest Blogging. Yeah, that’s why I mentioned it was not an exhaustive list. I only wanted to mention the ones I use the most and were key to my sites. I was wondering did you give headway drag And Drop a go? No not yet. Never got around to it. I can highly recommend Headway. It takes a little while to get the hang of it but once you do the possibilities are endless. And the best part is that when you get bored of your design you don’t need to buy a new theme, you can simply redesign it in Headway. Well worth the investment imo. I hardly use anything else now. Thanks for sharing these useful tools. Didn’t know about many of them.